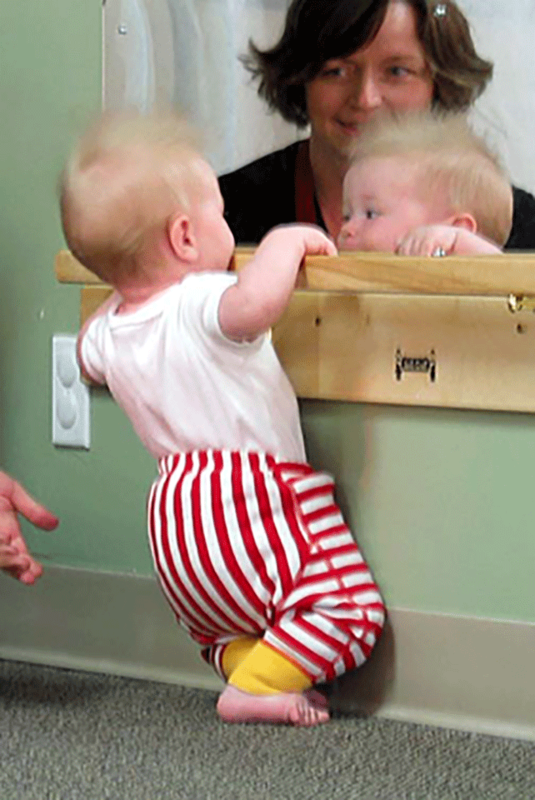 Our Parent and Baby Programs have been especially designed by early childhood experts to meet your baby’s developmental needs from crawling to independent walking. All of the activities offered provide enticing sensory stimulation and support your baby’s healthy brain development as well as providing you with a delightful shared experience with your baby. We create a beautiful and thoughtfully prepared movement space for you and your baby to enjoy. There are fun educational games to try out with your baby, which provide them with new visual, auditory and tactile experiences; as well as enabling them to refine their eye-hand co-ordination and visual discrimination. All the activities are set out in such a way that encourages your baby to move and explore and encourages repetition in order to build up your baby's concentration span, which is so important for learning and development. Activities vary weekly and always include musical group times (with real musical instruments!) which will bring your baby so much pleasure. Music and singing are used to develop your baby’s early language skills and baby sign language is incorporated into everything that happens in the class, giving your baby an opportunity to use language before the motor development has occurred which will allow them to speak. The classes are friendly and welcoming and the social aspect of the class means that you can make friends with parents of babies around the same stage as your child. The classes are run by early childhood professionals who can provide you with information about your baby's development as well as tips and tricks for play ideas to share at home, that your baby will love. The classes are run weekly during term-time and go for around 2 hours. PPA Parent and Baby Programs are running in a location near you. Our directory of Parent and Baby Programs will be live in April 2015. To register your interest, contact us via our online Registration Form. We look forward to hearing from you.